This weekly newsletter, in partnership with Cost Management Solutions, provides energy market analysis to help propane retailers manage their supply sources and make informed purchasing decisions. Subscribe for free to our market-specific email newsletters. Visit LP Gas magazine’s Subscriber Services to apply for a new subscription, renew your current subscription, or change your address. 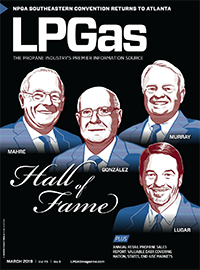 LP Gas magazine is available in two formats: print and digital. Choose the version that’s most convenient for you. LP Gas is available in two formats: traditional print received through postal mail, and an electronic digital edition. We offer free print magazine subscriptions to qualified U.S. and Canadian residents and free digital-only subscriptions to International residents. Payment is required for International residents who wish to receive the magazine in print. Qualifed U.S. and Canadian residents who prefer the convenience of the electronic digital edition may choose to receive that instead of the print edition. Digital-only subscribers will receive the digital edition via e-mail each month. LP Gas digital edition is an electronic replica of the print issue. 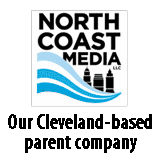 You’ll receive an e-mail reminder as soon as the latest edition of the digital edition is available each month. LP Gas offers the free digital magazine subscriptions to all qualified readers. Complete: LP Gas Digital Edition includes 100% of the editorial and advertising content found in the print edition. Convenient: LP Gas Digital Edition is browser-based — no fat files or mandatory downloads. Interactive: LP Gas Digital Edition is live — one click away from related editorial and advertising Web sites. Portable: If you wish, download LP Gas Digital Edition to your mobile computer to read offline while traveling or sitting in your favorite easy chair. Digital editions of our back issues are available in our archives.